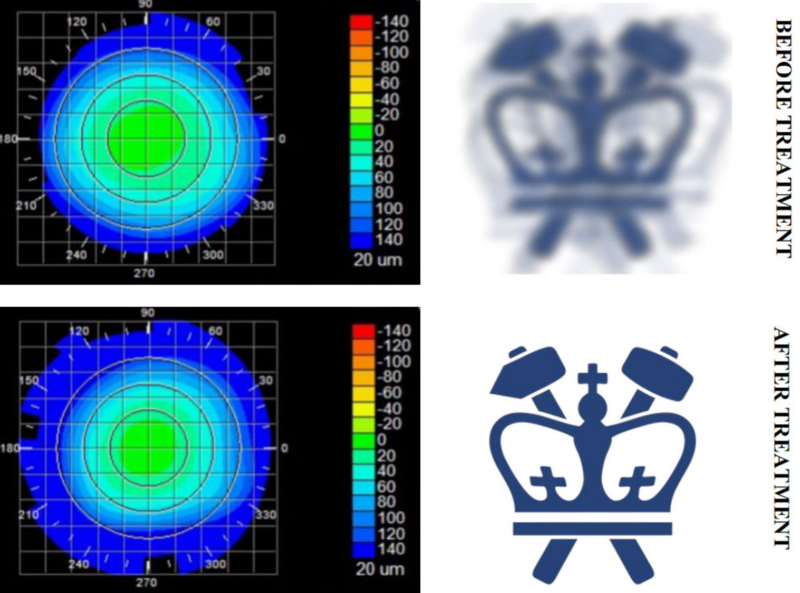 Columbia Engineering researcher Sinisa Vukelic, Ph.D., has developed a new non-invasive approach for permanently correcting myopia (nearsightedness), replacing glasses and invasive corneal refractive surgery. * The non-surgical method uses a “femtosecond oscillator” — an ultrafast laser that delivers pulses of very low energy at high repetition rate to modify the tissue’s shape. The method has fewer side effects and limitations than those seen in refractive surgeries, according to Vukelic. For instance, patients with thin corneas, dry eyes, and other abnormalities cannot undergo refractive surgery. ** The study could lead to treatment for myopia, hyperopia, astigmatism, and irregular astigmatism. So far, it’s shown promise in preclinical models. Vukelic’s group plans to start clinical trials by the end of the year. They hope to predict corneal effects — how the cornea might deform if a small circle or an ellipse, for example. That would make it possible to personalize the treatment. * Nearsightedness, or myopia, is an increasing problem around the world. There are now twice as many people in the U.S. and Europe with this condition as there were 50 years ago, the researchers note. In East Asia, 70 to 90 percent of teenagers and young adults are nearsighted. By some estimates, about 2.5 billion of people across the globe may be affected by myopia by 2020. Eye glasses and contact lenses are simple solutions; a more permanent one is corneal refractive surgery. But, while vision correction surgery has a relatively high success rate, it is an invasive procedure, subject to post-surgical complications, and in rare cases permanent vision loss. In addition, laser-assisted vision correction surgeries such as laser in situ keratomileusis (LASIK) and photorefractive keratectomy (PRK) still use ablative technology, which can thin and in some cases weaken the cornea. ** Vukelic’s approach uses low-density plasma, which causes ionization of water molecules within the cornea. This ionization creates a reactive oxygen species (a type of unstable molecule that contains oxygen and that easily reacts with other molecules in a cell), which in turn interacts with the collagen fibrils to form chemical bonds, or crosslinks. This selective introduction of crosslinks induces changes in the mechanical properties of the treated corneal tissue. This ultimately results in changes in the overall macrostructure of the cornea, but avoids optical breakdown of the corneal tissue. Because the process is photochemical, it does not disrupt tissue and the induced changes remain stable. Reference: Nature Photonics. Source: Columbia Engineering.